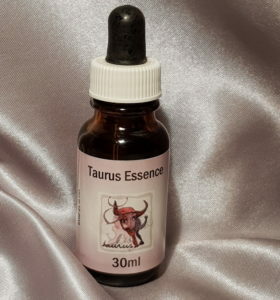 Taurus Essence is the second in our Star Sign Range. Also the second sign of the zodiac Taurus the Bull (21st April – 21st May) has its basis in the bull’s horns symbolising strength and determination of the sign. Taurus is the sign of common sense, down-to-earth feelings, quiet strength and well-being. Taureans enjoy the simple and healthy pleasures of life. They love good food but they can be lethargic and lazy. Taurean karma arises from an overwhelming attachment to material possessions and a tendency to fin security in external things. The karmic challenge is to learn to let go in pursuit of an inner security that is eternal and indestructible.